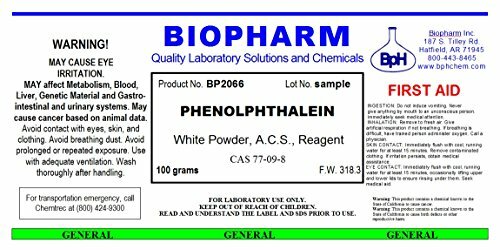 Details: This Phenolphthalein powder is very high purity and is certified by our USA laboratory to meet the requirements of the American Chemical Society (ACS) . It is commonly used as a 1% solution with acid and base titrations as well a “neutralization” indicator for determining when excess base such as sodium hydroxide or potassium hydroxide is present. 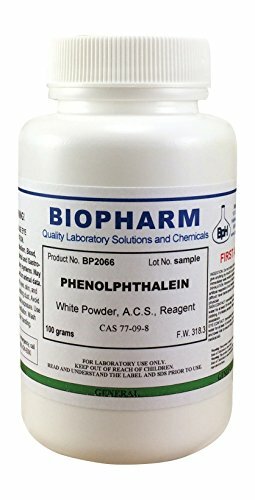 Note that phenolphthalein is not soluble in water and must be dissolved in alcohol or other solvents.